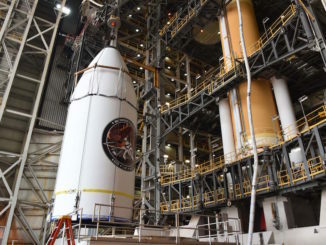 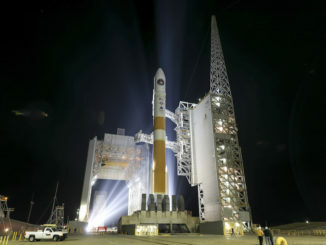 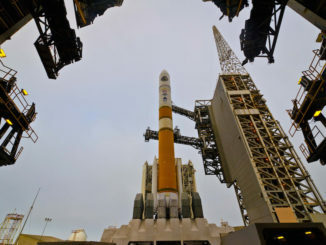 The 32-story-tall mobile service tower at the Delta 4’s launch pad at Vandenberg Air Force Base in California was retracted away from the rocket Thursday in advance of a planned liftoff with a top secret National Reconnaissance Office payload. 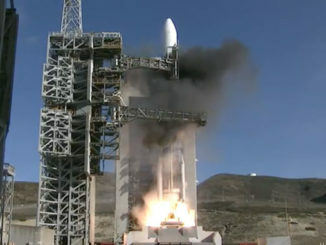 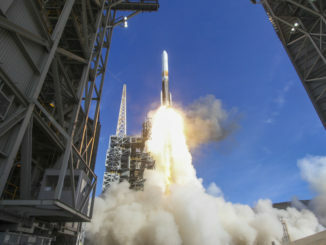 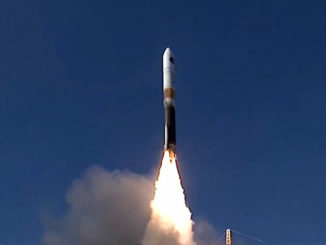 A clandestine satellite owned by the National Reconnaissance Office has been raised atop its United Launch Alliance Delta 4 rocket at Vandenberg Air Force Base, California, for liftoff Jan. 10. 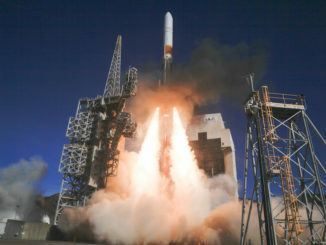 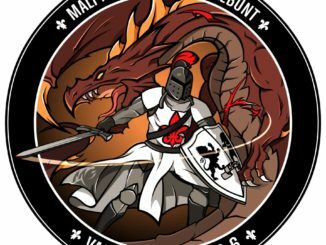 The launch of a top secret National Reconnaissance Office spy satellite from Vandenberg Air Force Base in California has been pushed back from Dec. 13 until no earlier than Jan. 10 to complete software validation on the Delta 4 rocket’s new avionics system, United Launch Alliance announced Wednesday.